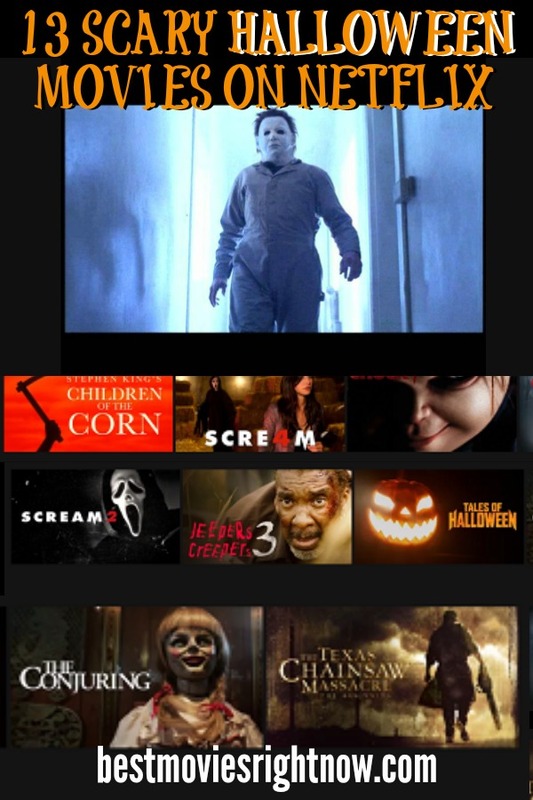 These Halloween movies on Netflix are great to watch during the Fall, Halloween, or any time of year. You’ll enjoy these movies if the kids are out and about and you’re looking for a fun way to snuggle up with your honey, check out of my R, NR, or unrated picks tonight. Kiddies at home? Check out one of my Halloween Movies on Netflix for Kids that are rated G, Y, Y-7, or PG-13 (depending on your kids’ ages and your discretion). Halloween: The Curse of Michael Myers (R) – Crazed serial killer Michael Myers returns from the dead, and his niece must save her newborn from her knife-wielding uncle. Halloween Resurrection (R) – Michael Myers proves to his sister, Laurie, that he isn’t dead, while a television producer launches a reality show set in Michael’s childhood home. Friday the 13th: Part 7: The New Blood (R) – Jason is released from his watery grave at the bottom of Crystal Lake by a telekinetic teen who returned to the site where her dad supposedly drowned. Texas Chainsaw (R) – When a young woman travels to Texas to collect her inheritance, she discovers that a brutal, chainsaw-wielding madman is part of the bequest. A Nightmare on Elm Street 2 (R) – It’s been five years since Freddy Krueger tormented the teens of Elm Street, but he’s back for revenge, looking to possess more innocent victims. The Cabin in the Woods (R) – Five friends arrive at a secluded cabin with clear rules for their retreat. But when protocol is broken, punishment is swift — and everyone will pay. Satan’s Little Helper (R) – While trick-or-treating on Halloween, a young boy unwittingly helps a serial killer who’s dressed as a character from the kid’s favorite video game. Scary Movie 2 (R) – While the original parodied slasher flicks like Scream, Keenen Ivory Wayans’ sequel to Scary Movie takes comedic aim at haunted house movies. Also, be sure to check out this Ultimate Horror Movie Calendar to count down to Halloween. Are your favorite Halloween movies on Netflix on this list?